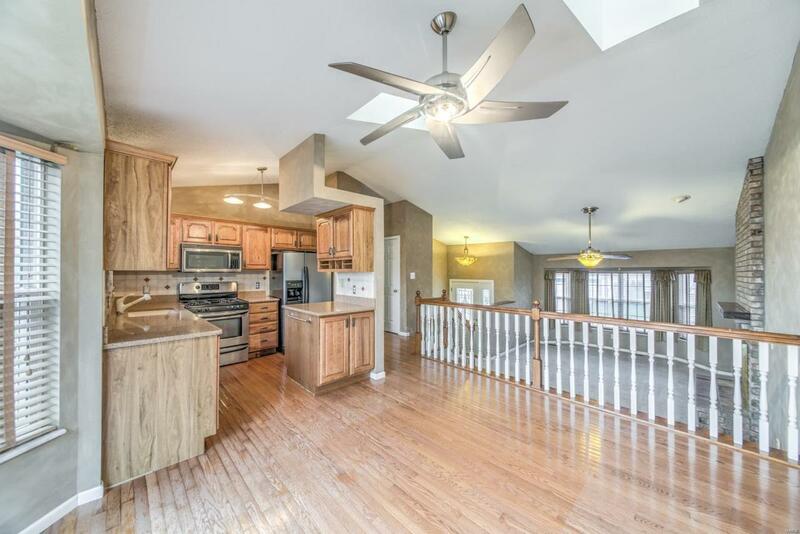 You will not want to miss this gorgeous split level OFallon Home. 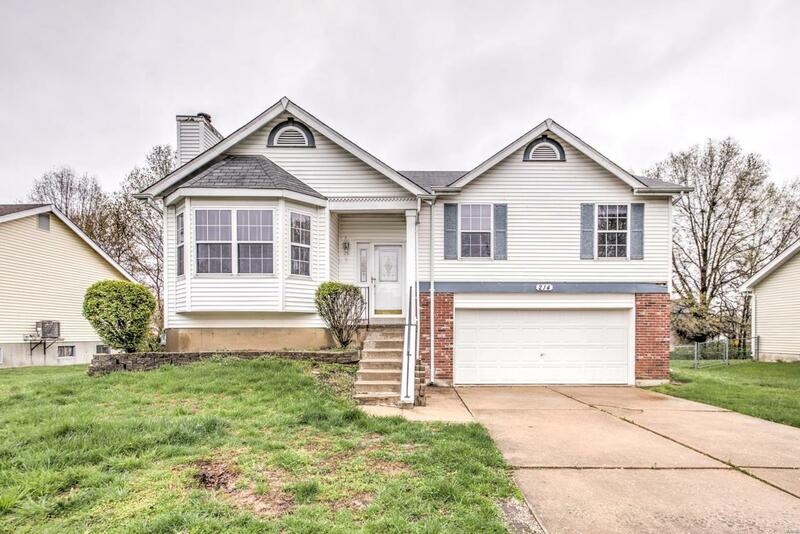 Located in a quiet neighborhood this lovely home features low maintenance vinyl siding, an oversized 2 car garage, a spacious back yard and a large deck for those afternoon BBQs. 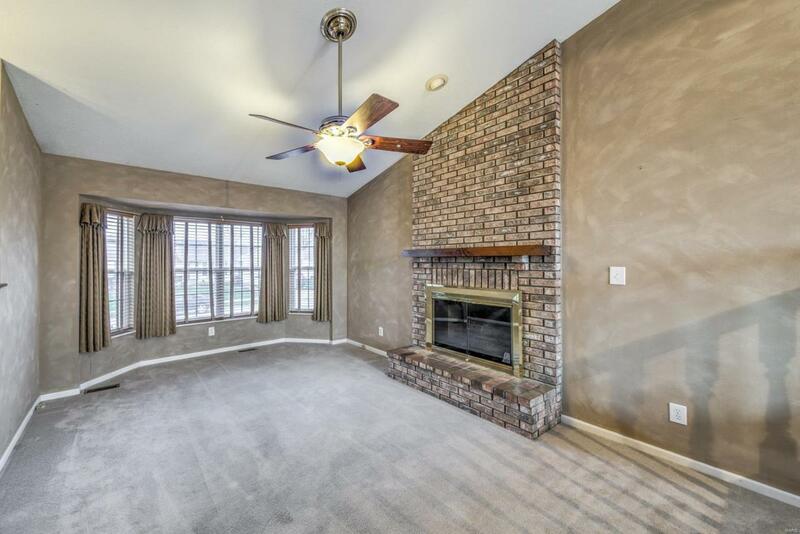 The spacious main floor includes a large family room with soaring vaulted ceiling, bay window and a luxurious wood burning fireplace with brick surround. 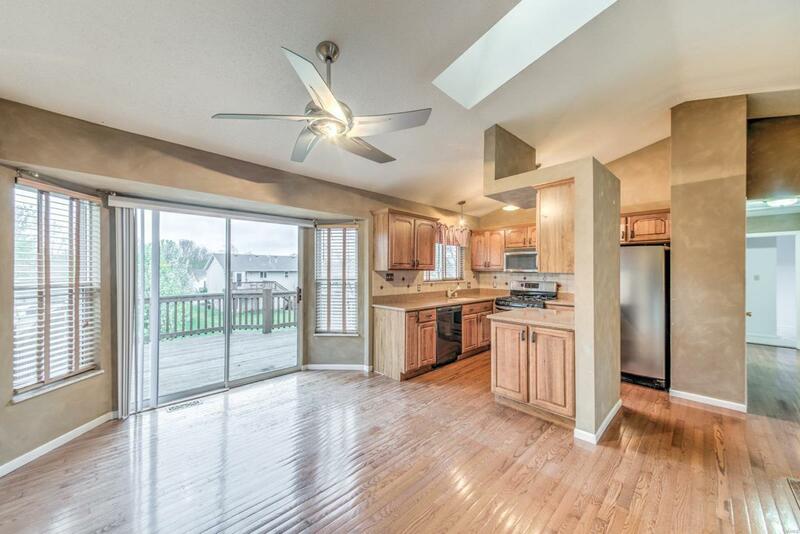 The beautiful kitchen features granite countertops that offer plenty of space, stainless steel appliances, custom cabinets and a large breakfast room with skylights that provide plenty of natural light. Main floor also includes 2 spacious bedrooms a bath and a large master that that features vaulted ceiling, fan, bay window and ensuite that includes a nice stand-up shower. You will spending plenty of time entertaining in the walk-out finished basement that offers the new owner tons of additional storage space.